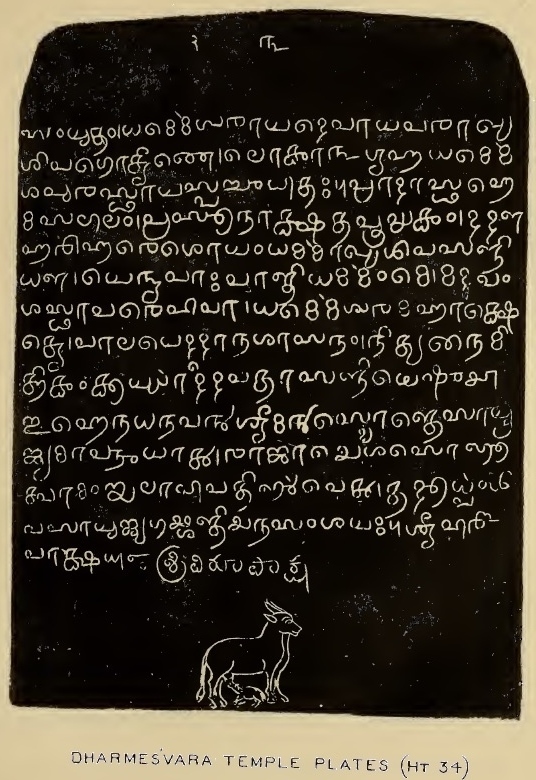 The Grantha script, which may have been based on cave inscriptions in southern India, was historically used for writing sacred texts in the Sanskrit language. The word grantha in Sanskrit means “knot,” suggesting that the script was originally used in palm-leaf manuscripts that were held together by knotted string. 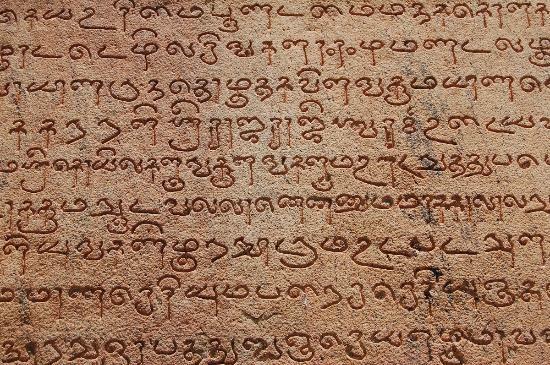 Grantha was a major southern Indian script until World War II, but after independence in 1947, Hindi was promoted as the national language (as Gandhi had recommended) and hence the standard Devanagari script started receiving more attention and usage, even in South India. 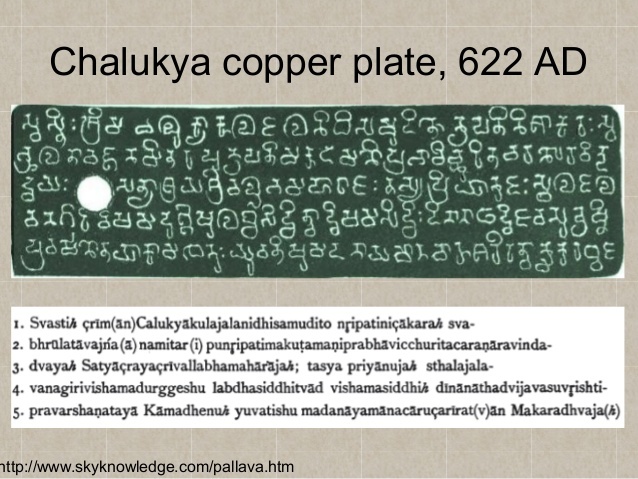 More and more Sanskrit books were printed in Devanagari by publishers desiring to cater to a nation-wide audience, and thus the usage of Grantha for the purpose decreased. The rise of the pro-Tamil movement, too, in the second half of the 20th century, further eroded the use of Grantha in Tamil Nadu, one of the strongholds of the script. 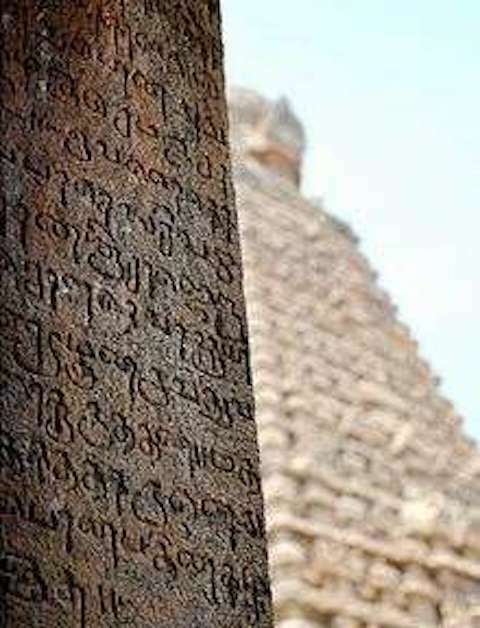 Even if the script may no longer be in widespread general use, one source reports that about 10,000 Vedic scholars and students in Tamil Nadu and about 15,000 Hindu temple priests in Tamil Nadu, Sri Lanka and elsewhere do use the script daily. A much larger number of other people interested in Sanskrit and Vedic have learnt the script to varying extents and use it occasionally. Grantha is used in religious almanacs, and also used by Tamil-speaking Hindus to write a child’s name for the first time during the naming ceremony, to write the Sanskrit portion of wedding invitations and for announcements of a person’s last rites. One final note: as with a number of other South Asian scripts, Grantha has its own number system, unusual in the way it wrote fractions. These were written using distinct symbols representing fractions of 320. So what is written in the Latin script as 1/4, for example, was written in Grantha using a single symbol read as 80/320. Distinct symbols only existed for some fractions, but composites could be created; there was a symbol representing 8/320 and a symbol representing 1/320, so 9/320 was written using both symbols.